Making everyone a flight expert. 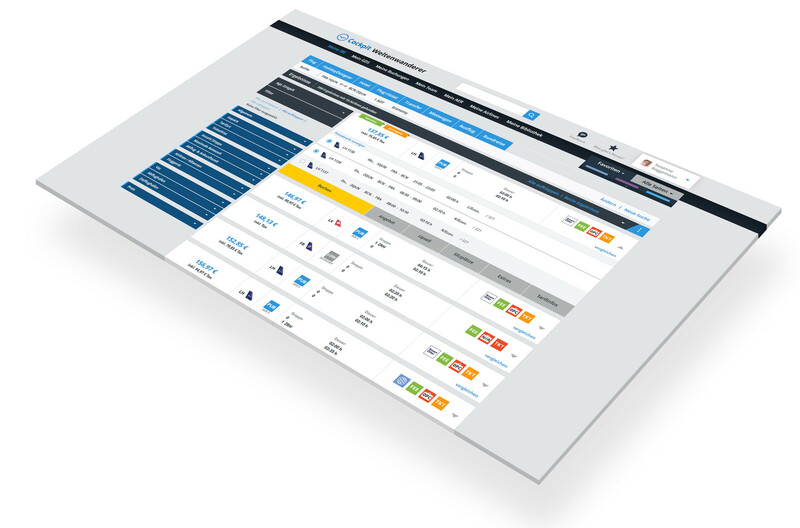 With a single search request you can receive results from AMADEUS, SABRE and other GDS systems, direct links to airlines as well as low cost providers. The interface is well-designed and clear, and with just a few clicks you can adjust it to your individual requirements. It gives you access to all the content an agent needs: a unique flight database including specials, international fares and more. Ancillaries like seats and baggage can be added with a click. Hotels, rental cars, excursions etc. are also offered within the booking process. So you can enjoy cross selling! "The new IBE looks good and is wonderfully easy to use. My compliments."